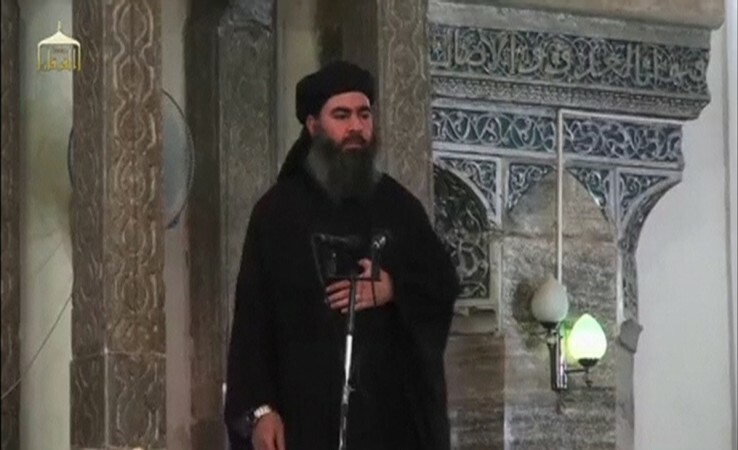 The leader Islamic State, Abu Bakr al-Baghdadi, has fled the US-led aerial bombardment in Syria after serious injury. The leader of the self-styled Islamic State, formerly known as ISIS or ISIL, Abu Bakr al-Baghdadi has fled the intense US-led aerial bombardment in Syria after sustaining serious injuries, various media reports are saying. The news however, cannot be independently verified. The Kurdistan Democratic Party (KDP) announced that the leader of the terrorist organisation arrived in the Iraqi city of Mosul after escaping the violent airstrikes, which the US claims has managed to destroy bases of the jihadist group. He fled from the Syrian city of Raqqa, the FARS News Agency reported citing local sources. The deadly hardliner Sunni militant group currently controls major swathe of areas from Baghdad to Damascus. The blood-thirsty group, described by world community as barbaric and cruel, declared the area as a caliphate under the leadership of Baghdadi. While the group has baffled the international community with a series of videos where jihadists appeared to mercilessly behead three westerners, the group has also threatened all communities in the area, including Shiites, Sunnis, Kurds, Christians, Yezadi Kurds and others, as they continue with their atrocities there. Senior Iraqi officials have pointed fingers at Saudi Arabia, Qatar and some Persian Gulf Arab states for the growing terrorism in Iraq. The extremist group is also said to have links with Saudi intelligence and is believed to be indirectly supported by the Israeli regime, the news agency notes. This comes days after the FBI claimed that it has narrowed down the identity of the black-clad, masked and English-accented jihadist of the group, who beheaded westerners in gruesome videos released over the past few weeks. The video-taped beheadings of American journalists James Foley and Steven Sotloff contributed to much frenzy and consternation among American citizens, forcing the Obama administration to escalate its campaign against the group. The group also beheaded British aid worker David Haines, 44, days later, pulling the US ally into the war.